We continue our discussion of different groups in investment banking today by learning all about a group you might not have even heard of before: the equity syndicate. While it’s more niche than some of the others we’ve looked at (M&A, ECM…), that also makes it interesting and worth discussing. To make things even more fun, the interview you’re about to read was conducted with a reader who works in Asia – so you’ll learn about how it’s different there as well. Q: Let’s start with the basics. I know pretty much nothing about the syndicate – what do you actually do? We talk to the sales people who pitch equity offerings, to sales-traders, and to the bankers who analyze the companies, and we coordinate the processes of initial public offerings and secondary offerings. We keep everyone in the loop and make sure that all sides understand each other. In terms of tangible work, we multi-task a lot: we speak to salespeople to get market color, speak to investors to tell them about the deal (as we advance in level), and track institutions that are interested in and have subscribed to offerings. Q: You mentioned before we even spoke that it’s a very niche market. How small are we talking? A: I don’t have exact numbers, but I wouldn’t be surprised if there are just over 100 people worldwide, altogether, in equity syndicate groups. Even at large banks it’s common to have only 3-4 or even less at each desk, though that number might be higher in the US and more developed markets. Some banks might not even have a distinct syndicate desk. Since the groups are small, many banks don’t even have junior people – it’s all just senior bankers and they outsource a lot of the grunt work. Q: With so few people, I’m guessing that you don’t exactly recruit for the syndicate right out of school. How do you get in and what’s the recruiting process like? A: You’re right that fresh grads are pretty rare – banks don’t need that many people, and anyone working full-time in the field has been there a long time. Pretty much all the hiring comes from lateral hires – people who have already worked in ECM, corporate finance, or sales, and who now want to make a transition. Even this is not common, because there isn’t that much demand for fresh blood each year. Q: What about the interview process? Are we talking about just the standard banking questions or is it quite a bit different for the syndicate? A: You’ll get some of the same questions as in standard banking interviews, but there is not as much emphasis on the technical side because we don’t do as much valuation or modeling work – they’re more interested in your sales and communication skills as opposed to how well you can model. However, they do stress “attention to detail” since you need to get order numbers and everything else in your allocation book correct – so you will be tested on that. “Fit” questions will test how well you can coordinate and organize processes rather than your ability to crank out Excel 100 hours a week. What do you think the IPO market will do in the next 6 months? What sectors are most likely to issue equity in the next year? Q: So how do you find out about any of those if you’re not already working in the industry? A: It’s really tough, which is why almost everyone in the equity syndicate comes from other groups – knowledge of market conditions and different institutional investors, banks, and prospective clients is critical. It’s tough to know all that unless you have access to resources like Bloomberg and Dealogic. You can access news on recent IPOs and block offerings from sources such as FinanceAsia, though that is a subscription-based service and it can get pricey. Q: So what’s a typical day at work like? How much do you work and what do you do? A: Analysts usually get in around 7:30 and work for 12-13 hours every day. They can work a lot more than this – sometimes 15+ hours or staying up all night – during book-building, pricing, and allocation time. Each day starts off with a morning call, where the sales people discuss the market and current offerings. As an Analyst, you are expected to listen to those calls. After that morning call, when we are on a live deal, I spend each morning sending out term sheets on deals to sales people, coordinating analyst meetings, and sending term sheets to investors. When we aren’t working on any live deals, I help out with updating databases, tracking offerings, and pitch books. Multi-tasking skills are really important because I’m often asking the sales people for investors’ views on a company, sending out updates to sales people and bankers, staying up-to-date on current equity offerings in the market, and creating Excel spreadsheets to track companies’ performances. Q: You mentioned before that you work on IPOs – is that most of what you do, or are there other deal types that you’re exposed to? A: The 2 main types of deals are IPOs and blocks – also called follow-on offerings – where a company that’s already public decides to raise money by issuing more stock. 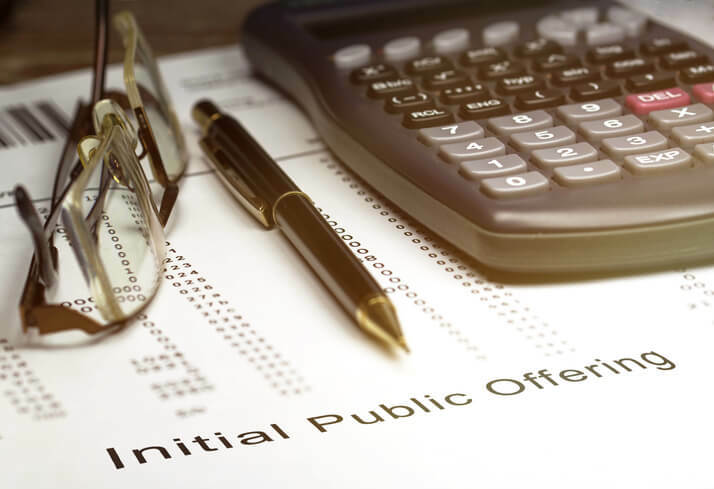 The process is similar for both of those, but IPOs require more work because the company has to be approved by regulators before it can go public. One difference between the two is that you might get more downtime with follow-on offerings, because you have to wait for companies to decide whether or not they want to issue stock depending on what the market has done that day. But you also might have to work all night and be ready to start again at 7 AM in order to ensure the allocation process is smooth – so just like traditional banking, the workload varies a lot. Q: Right. So going back to IPOs, what do you actually do? Do you help out with due diligence, or are you just in charge of building the books? A: The corporate finance team does the due diligence – we’re in charge of investor education, book-building and the allocation process. That involves coordinating meetings with research analysts, coordinating road show meetings with the management team, knowing which investors are interested in investing in the deal, how much they’re investing, making sure that all the orders are entered correctly into the books, and that investors are allocated properly. Attention to detail is even more important than in other areas of banking, because you need to proofread thousands of lines when reviewing these books, and a single “0” makes a huge difference. I said I usually work 12-13 hours a day, but when we’re in the final stages of a deal and I’m building a book, that can often escalate into 2-3 AM nights or even all-nighters depending on what’s involved. Sole book-run deals – where we’re the only bank rounding up investors – are easier to manage, while joint book-run deals – anything involving other banks – require more communication and coordination. Beyond the book-building process, you monitor communications between different parties quite a lot as an Analyst. For example, we need to make sure that the sales people are representing the company truthfully but are also “selling” our client effectively. We also need to make sure that all confidential information is kept confidential, and we have to consult with bankers to find out what a company’s real “story” is. Q: So it sounds like you need to interact with other people at your bank quite a lot. Can you give an example of how you would “monitor” communications? A: Sure. Let’s say that the client wants to go public at a 15x P/E multiple. Bankers would come to us and say, “Is that reasonable?” and then we would ask the sales people to ask investors about their views of the company and to indirectly figure out what kind of valuation they would invest at. Then we channel this feedback back to the bankers, being careful not to say too much or too little to anyone. In Asia – especially mainland China and South Korea – quite a few companies are dodgy, have spotty financial records, and avoid answering questions directly, so this function is very important here. Q: You mentioned earlier that some equity syndicate desks don’t even have junior people. If that’s the case, what do senior bankers do, and how do your responsibilities change as you move up the ladder? A: The senior people talk to investors directly, maintain relationships, and call investors to ask about their views on certain sectors. They also work closely with lawyers, because there’s a lot of overlap with the law in equity capital markets – all new issuances need to be legally valid. The junior bankers, by contrast, do most of the grunt work in terms of building books, channeling feedback, and helping out with marketing and pitch books. Associates and VPs become more involved with the allocation process – deciding what percent of a company should be allocated to different investors and deciding who gets what. There’s more art than science to that, so you need to be more senior to have a good handle on it. Q: You mentioned just before how many companies in Asia are “dodgy” – beyond that, what other differences do you see in the equity syndicate in Asia vs. other regions? A: For one, training programs here are not as well organized as in the US and Europe – so you need to pick up a lot more by yourself once you start working. The corporate cultures are also very different, and companies here are not as familiar with the capital markets and how an IPO works. Many companies in the US know IPOs very well, but firms here sometimes need us to hold their hands through the entire process. Q: Do you need to know a local language to work in the syndicate in Asia, or is just English ok? A: You have an advantage if you know Mandarin and you’re in Hong Kong working with companies in mainland China, for example, but it’s not required since you’re usually dealing with other syndicate desks (who are mostly expats) and other global desks. In the syndicate everything we do is global, and we’re working with investors from all over the world – the lingua franca is English, so the ability to speak fluent English is critical. In other parts of an investment bank, you can get away with knowing only passable English and being a native speaker of another language – e.g. Mandarin which is very important if you work in a region like Hong Kong, which is considered the hub of the Asian financial market. But in the syndicate if your English skills are not 100% flawless, forget about it. Q: Let’s talk about money. How much do you make in the equity syndicate? A: Base salaries are standardized at large banks and are the same as what you’d get in other areas of investment banking. You may also get a housing allowance depending on where you are in Asia. I can’t say with 100% certainty how bonuses compare, but overall they’re slightly less than in investment banking – still good numbers and definitely better if you look at it on a $ per hour basis. Q: What about exit opportunities? A: Sales, equity capital markets, or continuing on in the syndicate. Everything we do is qualitative and relationship-driven, so it might be difficult to get into quantitative roles at private equity firms coming from here. Headhunters – especially in Asia – are also useless if you’re at the junior level in the equity syndicate. They’re more focused on senior bankers who actually have client lists and relationships, and they don’t care too much about juniors. Q: What about hedge funds? I’d imagine there’s some overlap there. A: It depends on the type of fund and what your role is. Most funds are looking for people with due diligence and transaction experience – which is more quantitative – so you’d come up short by that standard. If you wanted to work at a hedge fund, it would probably be in more of an investor relations or fund-raising role. You can also work in PE as a “placement agent,” but most placements agents have many years of experience. According to you, considering all product groups, which is the IB division very tough to get in? Also to add, the company mentioned above is a top 3 player in IB deals across all product groups in my country. If in future I get a job offer from a BB firm (all BB in my country are below 5-7 rank by deal volume or value), is it worth leaving the job for BB or should I stay around leave after 2-3 yrs to PE. I’m concerned as during post foreign MBA will recruiting companies consider this work experience with the same reputation as at BB. What is ur take on this. There isn’t a huge difference between divisions, but M&A and Leveraged Finance and industry groups are probably a bit tougher than ECM/DCM because those groups are seen as more desirable. It’s probably not worth going to a BB unless you want to work in PE in a different/much bigger market where the brand name will help you more. Hi, I have a question. As you are discussing so many IB product groups, there is something called Private Equity Syndicate. I’m having a hard time understanding it as there is no clear definition. Is it something like IB service for startups by raising capital from several PE firms? I’m having a job offer for that particular position: IB-PE syndication & wanted to know if the job is more specialized & worth doing it. That company is not a BB but the biggest in total deal volume & value in my country for IB-PE syndication and is owned by KKR, USA. Does getting that IB job looks good on my resume? Is IB-M&A (#5 player by volume & value in IB-M&A) or IB-PE syndication job is more specialized? I’m concerned as I’m looking for exit option to PE post my IB job and also have a longer-term plan of doing an MBA from top b-school. Not sure, to be honest. It sounds very specialized. I’ll see if we can cover this area in the future and find out more about it. I imagine debt syndicate is probably similar to equity syndicate in responsibilities / hours and so on. Completely in terms of prestige (something I dont really like to talk about), how do bankers view ECM or ECM syndicates in terms of that omnipresent ranking? ie, some people might rank, IBD, Sales and Trading, Operations, etc…. A lot of people say that being in ECM/S&T etc involves following the markets. I have a decent grasp of finance (have done some finance courses etc), and I read the newspaper for general news, and some major market news but I’m never confident of my Markets knowledge. What is really expected of someone in ECM/trading for instance? There are so many companies out there, so many markets, so many indices, so many stocks….it’s all crazy confusing, I don’t even know where to start! What should I do to improve my knowledge of the current markets? Also there’s so many important events in the past several years/decades I wonder if I can ever catch up. Is there some website/book that summarizes the information? What sort of current market knowledge is really useful for day-to-day work? First of all: absolutely amazing site! Have a question regarding positioning for exit opps: I might have an occasion to jump into approving debt documentation or equity prospectuses or sponsor banks supervision via internal move in UK financial regulator. From what I’ve heard ppl working in UKLA are more able to jump across the fence (to prepare documentation) when they either supervise sponsors or work in ECM as opposed to DCM. On the other hand trying to align all jumps with PE/HF end game it might be better to be in DCM due to potential to move within this division to ultimately end up in LevFin (if this is at all possible?). Could you tell me whether supervising sponsor banks (ECM only in the UK) dealing with listing companies then jumping across to writing documentation for listing purposes , then probably jumping across somewhere internally within sponsor bank could ultimately lead to PE/HF? -This as opposed to trying to push DCM documentation supervision and jumping across from there in hope for LevFin which is much harder. I understand that jumping from ECM to DCM is not really plausible even if I get experience of assessing both types of documentations? I know that the route might sound extremely convoluted but it’s a very long term plan. Sorry for long post and a lot of questions. I am honestly not sure there, but in general ECM to PE/HF is very difficult unless you go to a capital markets group in one of those. So if you’re interested I would recommend DCM/Levin instead. I was wondering what kind of memorandum one needs to draft if one works in DCM or ECM as well as where I can find some samples? The ED that interviewed me said she is rushing a memorandum for an IPO and I am wondering what that looks like? It’s almost impossible to find examples because they’re highly confidential and not allowed to be distributed – maybe look on Scribd and see if you can find anything. The memos are pretty boring actually, just the usual company overview, market, competition, financial highlights, growth opportunities sections. You basically just copy and paste text from other sources. this might be a dumb question .. but what exactly is due diligence? Yes, it’s analogous. DCM / LevFin have been on the list for awhile but so far no one has volunteered to be interviewed about these positions. Thanks for showing the profile of this role out. I would imagine loan/bond syndicate is the equivalent for DCM? Perhaps you could do a follow through on these roles? I have a question (not relating to the above article). How much more difficult is it to move into private equity coming from a decent MM bank (as opposed to a BB)? This is coming from an industry coverage group (Energy for example). I am aiming for MM private equity funds (I know that the mega funds pretty much only take ex BB analysts but I was wondering if the same is true for most MM PE funds too). You can still move into PE but you will be more limited to smaller funds. MM PE funds do take a lot of ex BB analysts but also get people from MM banks as well. In terms of exit opportunities, it was mentioned that you could “move to a hedge fund in an ECM / markets-related capacity.” What exactly does that mean? A hedge fund with a focus on companies that recently underwent an IPO? It would mean working at a hedge fund but tracking recent issuances, recently IPO’d companies, etc. as opposed to being heavily involved with investment decisions and analytical work.